Isolated tumor cells (ITC) are more common in the sentinel node (SN) after needle biopsy of a breast cancer, indicating iatrogenic displacement of tumor cells. We here investigate whether similar iatrogenic displacement occurs after surgical excision of a breast tumor. 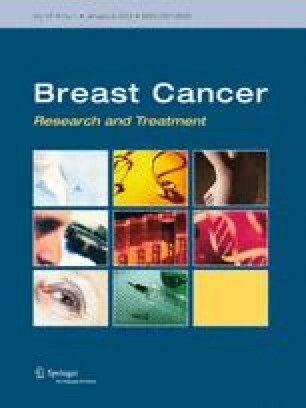 We compared the incidence of ITC in the SN of 414 breast cancer patients with recent surgical excision to a group of 16,960 patients without recent surgical procedure in a multivariate analysis by linking data from the Danish Breast Cancer Cooperative Group database and the Danish National Health Register. Moreover, the incidence of spread to non-SNs in patients with ITC in the SN after recent surgical excision was analyzed. We found an adjusted odds ratio on 3.73 (95% CI 2.57–5.43; P < 0.0001) for having ITC in the SN after surgical excision. The increase in ITC after surgical excision was especially seen in patients with ductal carcinomas (OR 4.66; 95% CI 3.03–7.19). None of the patients with ITC in SN after surgical excision had further spread to non-SNs compared to 12% in the group without recent surgical excision (P = 0.09). The nearly fourfold increase in ITC in the SN after surgical excision indicates that this procedure induces iatrogenic displacement of tumor cells. This displacement was more common in ductal carcinomas. We found no further dissemination to non-SNs in patients with ITC in the SN after recent surgical excision, and it is questioned whether these patients benefit from an axillary lymph node dissection. The study was supported by IMK common foundation, HOC research initiative foundation, the Danish cancer research foundation and A.P. Møller Foundation for the Advancement of Medical Science.